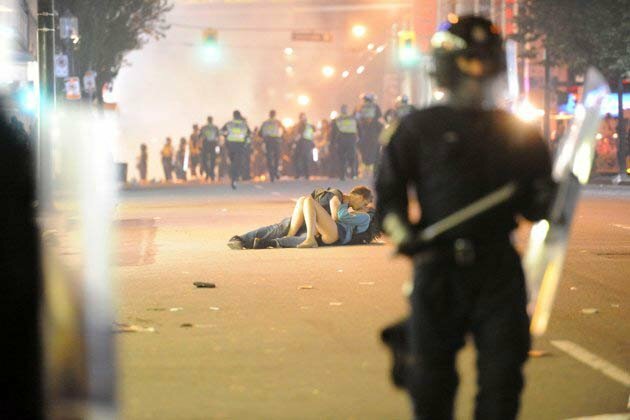 Video footage has emerged showing what really happened to the infamous 'kissing couple' during last week's Vancouver riots. The couple, identified as Australian Scott Jones, 29, and Canadia n-born Alexandra Thomas, became an instant Web hit after Getty photographer Rich Lam snapped a photo of them caught up in a moment of passion as tensions flared between hockey fans. 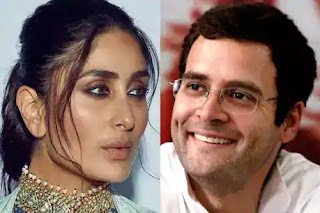 However, the affectionate pair, who have been dating for six months, dismissed claims that the kissing in the photograph was staged as they broke their silence on the night’s dramatic events. The couple had been drinking at a bar downtown when the atmosphere in the streets of Vancouver turned nasty. In the video clip, riot police can be seen hitting the couple with their shields. After the incident, Miss Thomas appears distressed and lies on the ground as she is comforted by her concerned boyfriend. Environmental engineering graduate Alex added: “It happened so fast. I never expected it to turn into that situation so quickly.